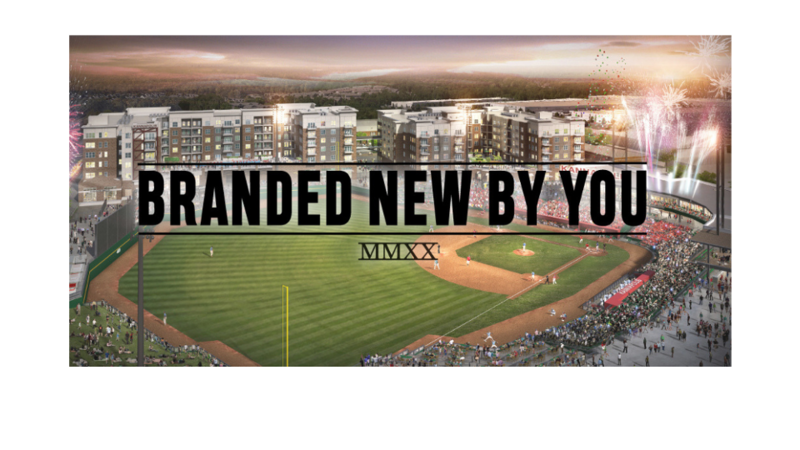 KANNAPOLIS, N.C. -- As the Kannapolis Class A baseball franchise moves toward a new era of baseball at the City of Kannapolis's Sports and Entertainment Venue, the team invites the community to help rename the franchise. Today the team launches its "Branded New By You" campaign and is asking community members to suggest names to help define the team's new identity. In addition to a new name, the rebrand will include a new logo and mascot. The new identity will debut after the 2019 season ends. For 25 years, Kannapolis baseball fans have cheered on their hometown team as the Phillies, Boll Weevils and Intimidators. Kannapolis baseball looks to enter a new era with a new name and a new ballpark in a new downtown Kannapolis. The new Kannapolis Sports and Entertainment Venue is scheduled to open in April of 2020. The team will proudly carry the city's name in its title when it moves into the SEV. "We are excited to partner with the Kannapolis community in revitalizing the downtown anchored by the new Sports and Entertainment Venue," said new team owner Andy Sandler. "Giving fans an even better game experience with a new team name, fresh logo and engaging mascot is a very important part of what is ahead for Kannapolis baseball and the city. We look forward to community participation in this exciting rebrand." For more information on the Downtown Revitalization Project visit www.kannapolisnc.gov/revitalization.